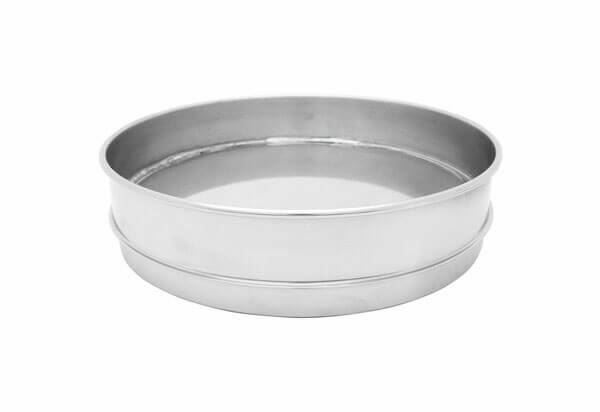 8" All Stainless Extended Rim Pan, Half Height - Gilson Co.
V8SHXPE 8in (203mm) Extended Rim Pan is a stainless steel half-height sieve pan with a rim, allowing two series of test sieves to be processed in a single stack in sieve shakers. The pan features a flange allowing it to nest between sieves and collect fines from the top series. This item optimizes sieving efficiencies when a smaller number of size fractions for each test are needed.